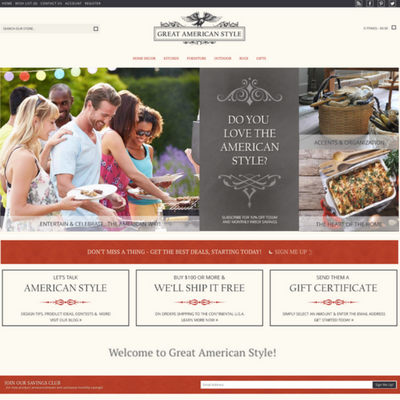 Concept: Help online shoppers show off their "Great American Style" with this ready-made internet business appropriately named, GreatAmericanStyle.com! This online store will offer a fabulous collection of furniture and home decor to bring the pride for American style to any home. This exciting website opportunity from Pure-Ecommerce offers a great shopping experience as this website is 100% responsive. Shoppers can browse the quick access categories from their PC, smartphone or tablet at their convenience. As the owner of this online business you will like being able to connect with your customers through the social media pages, blog and newsletter too. 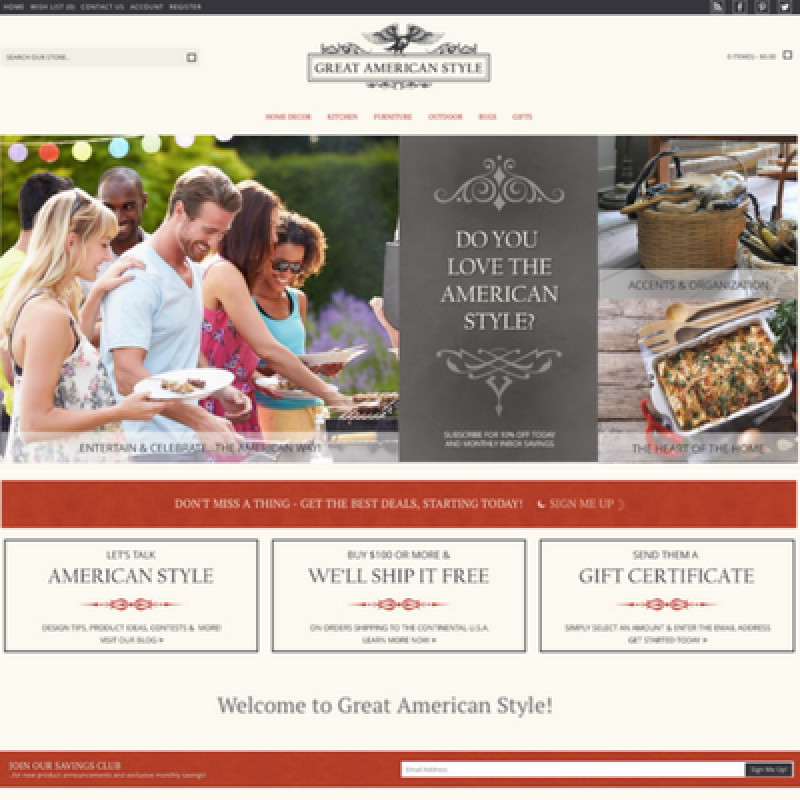 You can share the latest site news, sales, tips and inspiration to create a beautiful American style home! This online store offers you the essentials you've been looking for in an online business - unique niche market, user-friendly shopping cart, 800 drop ship products loaded to get you started and the initial drop ship vendor relationships set up for you. By working with drop ship vendors - this will allow you the freedom and flexibility to work anywhere, anytime! Plus, you will learn how to set up, run and market your new online business with our 40 hours of ecommerce consulting. Take this website business a step further when you upgrade to our platinum package - you will receive additional services to really jumpstart your new business. Do you love the American Style? Then now is the time to contact us now for pricing and to request more information on how we can help you get started in the online marketplace! According to Allied Market Research the Home Decor Market is expected to garner $664.0 billion by 2020, registering a CAGR of 4.2% during the forecast period 2015-2020. Furniture, textiles and floor covering products are key components of home decor. Expansion and developments in real estate industry, have supplemented the growth of world home decor market. Additionally the survey showed people would pay extra to buy American. More than 60 percent of all respondents indicated they’d buy American-made clothes and appliances even if those cost 10 percent more than imported versions; more than 25 percent said they’d pay at least an extra 20 percent.